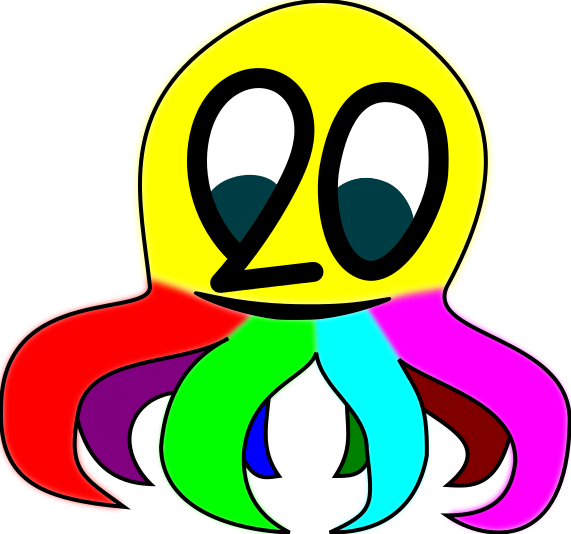 The net2o logo is a little squid called "nettie", related to "net" as well as to the German word "nett", which means "nice", "friendly" and "cute" (and more positive things). 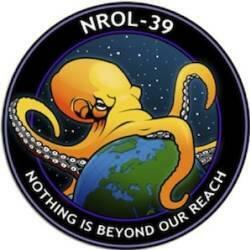 (image from the NRO, one of the more than 20 members of the intelligence community of the USA) which harvests all your data (read the lower part of the badge). Nettie is small and nice, and needs very little data to survive, it's not big and dangerous. Like any squid, it can eject ink and go dark. Nettie is artwork, and covered by copyright. Where it is part of net2o, you can use it under AGPLv3. It is not covered as trademark, but since I've been using it for years now, don't you dare registering it as trademark; it is a de facto trademark, and protected against fraudulent registration. I don't want to exercise this sort of control. Any product which implements net2o, or provides services using net2o can use this logo. If you don't use the AGPLv3 for your net2o implementation or services, you have to ask for permission, though.